WBC Jr. Bantamweight world champion Srisaket Sor Rungvisai emerged as a rising star in Boxing's lower weight divisions when he scored a twelve round majority decision over Roman Gonzalez in March 2017 in New York's Madison Square Garden. A victory to win the WBC Jr. Bantamweight crown for Sor Rungvisai, who is also known as Wisaksil Wangek, that was seen as controversial by some over Gonzalez, who is regarded as one of the best fighters in the world. If there were any doubts as to Sor Rungvisai's victory over Gonzalez, the native of Si Sa Ket, Thailand silenced any critics by knocking out Gonzalez in four rounds in their rematch in September 2017. Since the rematch with Gonzalez, his first successful title defense, Sor Rungvisai has defended his crown twice more including scoring a first round knockout over Yong Gil Bae in a non-title bout in July of last year. It was perhaps the champion’s second title defense however, that may have caused some doubts regarding Sor Rungvisai’s emergence as a rising star in the sport and more specifically the 115lb. Jr. Bantamweight division. In what was one of the best fights of 2018, a bout that was a fight of the year candidate, Sor Rungvisai scored a razor-thin twelve round majority decision over top contender Juan Francisco Estrada. The fight, which was fought at The Forum in Inglewood, CA, was a highly tactical yet exciting bout between two of the best the Jr. Bantamweight division has to offer. A fight that was twelve rounds of nearly non-stop action. Now one year later, Sor Rungvisai and Estrada will meet again on Friday night once again at The Forum in the main event of a card broadcast by digital streaming network DAZN. The first encounter between the two saw the ebb and flow go back and forth as both fighters had periods of effectiveness. When it comes to close fights as this one was, it will often come down to which fighter is able to execute their offense a little clearer than their opponent, which can sway opinion as to who will win close rounds in the eyes of the official judges. This was a bout where Estrada appeared for a time to be the one landing the cleaner, more effective punches of the two, but it was Sor Rungvisai who appeared to have the edge in terms of punching power when he did connect cleanly. It should not be overlooked that there were several instances in the first encounter between these two fighters that Sor Rungvisai appeared to get caught by punches as he lunged forward and went down, but those were ultimately ruled slips by Referee Jack Reiss as it appeared at times that he was punched, but also pushed. Jack Reiss is rightfully regarded as one of the best referees in the entire sport and it is understandable why he is selected as the third man in the ring for many of the top fights to take place in the state of California. One could make an argument however, that a referee with lesser experience than Reiss may have misjudged those slips of Sor Rungvisai as knockdowns and that could have had a major impact on the scoring of the fight. It will be interesting to see if Estrada, who will enter the fight coming off of two straight wins, will be able to make the necessary adjustments that could result in a victory this time around. For the challenger a native of Hermosillo, MX, who will also enter with an impressive record of 38-3, with 26 Knockouts, he must also utilize the same type of lateral movement that served him well in the first fight. Although the champion Sor Rungvisai. Who will enter the fight with a record of 47-4-1, with 41 Knockouts, had the edge in power in the first fight, he was not effective in cutting the ring off from Estrada and was ineffective in being able to minimize the challenger’s movement. One aspect that may work to Sor Rungvisai’s advantage is the last time he had a rematch of a fight that was a close decision, he dominated his opponent and scored a convincing knockout to retain his world championship. For Sor Rungvisai to have success in this fight, he must look to apply pressure on Estrada from the outset, but must also be wary to not lunge forward as he did in the first fight where he might be susceptible to getting countered, which might result in a knockdown or knockdowns going against him. The champion must find a way to minimize Estrada’s lateral movement. One way this could be accomplished, which was largely absent from Sor Rungvisai’s offense in the first encounter is to focus a consistent portion of his attack on Estrada’s body, which if successful over the course of the fight will take a toll on the challenger’s legs and make it difficult for him to evade the champion. In addition to not lunging forward, Sor Rungvisai must also not be reckless in his approach as Estrada will almost certainly be looking to play the role of counter puncher and catch the champion as he is coming forward. What should not be overlooked as this highly anticipated rematch nears is that for the first time in several years some of Boxing’s lower weight divisions, which are not always given the television exposure and recognition they deserve here in the United States are finally being given that exposure due largely to the entertaining styles of fighters like Srisaket Sor Rungvisai, Juan Francisco Estrada, and Roman Gonzalez to name a few. It should also not be overlooked that these fighters and by extension the Jr. Bantamweight division were given valuable exposure in the latter days of HBO’s involvement in the sport. As one network with a storied history left Boxing at the conclusion of 2018, a new network in the emerging digital streaming era has taken the lead in showcasing fighters and weight classes that were not always offered to American Boxing fans before. One can only hope that DAZN’s commitment to Boxing, which has seen a significant shift in how Boxing is broadcast and has provided it’s subscribers with a more affordable alternative to traditional television platforms and pay-per-view, will not only continue their commitment for many years to come, but in doing so also extend their platform to some of the best talent Boxing’s lower weight classes have to offer. An opportunity that frankly was not always taken advantage of by other networks in the sport on a regular basis. What this ultimately might mean for the Sor Rungvisai-Estrada rematch beyond the potential of another great fight between two world-class fighters just might be opening the door for many fighters in the sport to receive the exposure that they now benefit from. It is something that is frankly long overdue and something that will help grow the sport overall in the long-term. “And That’s The Boxing Truth. Sor Rungvisai-Estrada II takes place tomorrow night (Friday, April 26th) at The Forum in Inglewood, CA. The card can be seen in the United States and in several countries internationally on digital streaming network DAZN beginning at 7:30PM ET/4:30PM PT. (U.S. Times) To subscribe to DAZN, availability around the world, list of connected streaming devices, and to start your free 30-day trial please visit: www.DAZN.com. In the United Kingdom and Ireland, the card can be seen on Sky Sports Main Event (Formerly Sky Sports 1) beginning at 2:30AM (Saturday, April 27th. Local UK Time) For more information about Sky Sports, channel listings, and availability in your area please visit: www.skysports.com. Check your local listings internationally. 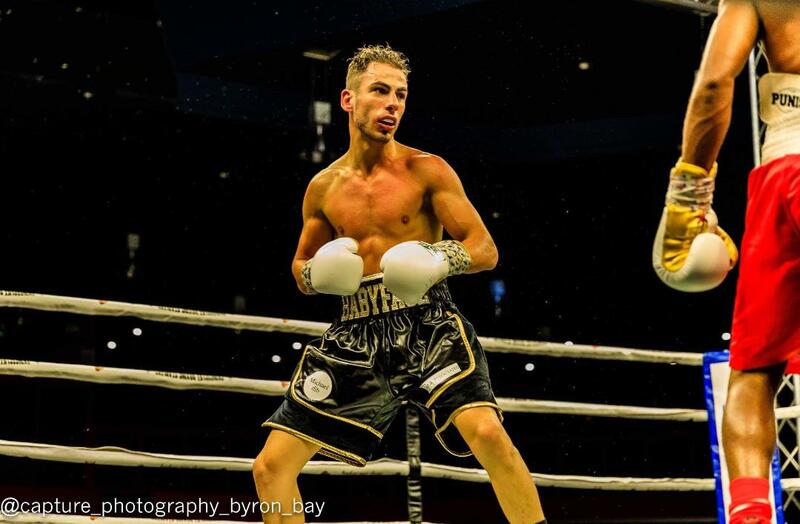 Western Australia's rising Featherweight standout Jackson England is really not holding back in moving forward with his professional career. 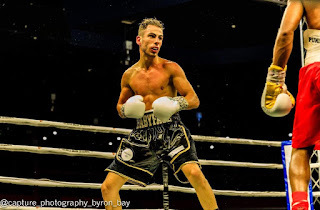 The 21-year-old captured the Australia Featherweight title in his last outing, dominating and stopping his opponent Cain Brunton inside 8 rounds in a fight that many saw as a real statement made by the Perth native. 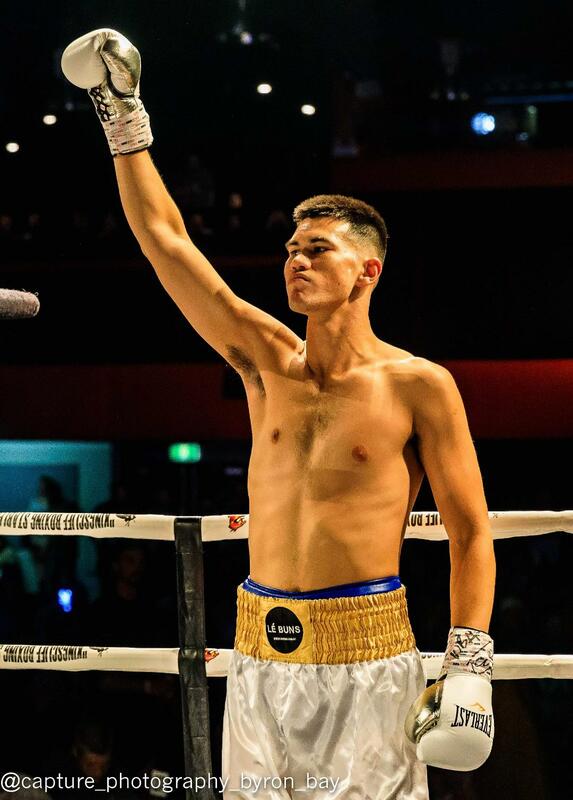 'Action' Jackson opened up about his recent victory and becoming Australian Champion at the tender age of 21. He said, "It was a dream come true to become the champion of my country and I have to thanks my trainers at the Onyx fight team in Perth and my manager WBA Oceania Manager of the year Tony Tolj for getting me this opportunity and making it happen for me. "I thought I boxed very well, but I know that there is still a lot more to come from me. I'm 21, I'm still maturing and developing mentally and physically and that can only make my future a bright one." England said, "Rengkung has been in with some really good quality fighters, fighters I look up to like Joel Brunker and Luke Jackson. It's a great test at this stage in my career to see how far I can truly go, but I believe I can go all the way so I need to look good against Rengkung and hopefully that will set me up for some big fights down the line. "Brunker and Jackson are two of the most recognisable fighters in recent times at Featherweight. They've boxed the best in the likes of Lee Selby and Carl Frampton, so for me, I have to make sure that I am on my game as I am aiming to achieve what these fighters achieved in their careers." Material and Photo Courtesy of: Dragon Fire Boxing Used with Permission. An encounter between two of the best fighters in the sport of Boxing usually is reason enough to draw the interest of a Boxing fan of any description. When such a fight also takes place in a historic venue rich in Boxing history, such an encounter is given the ingredients what could be a special night in the sport’s history. The encounter between undefeated WBO Welterweight world champions Terence Crawford and former unified Jr. Welterweight world champion Amir Khan appeared to be one such occasion. In previewing this fight, this observer stated that this would be an interesting clash of styles between two boxer/punchers. It appeared that when Terence Crawford and Amir Khan entered the ring on April 20th at Madison Square Garden that would be exactly what this fight would produce. In some ways, it is exactly what happened. Two world-class boxers who each have the ability to play the role of aggressor and counter puncher. Both fighters had periods of effectiveness throughout this fight, but it was Crawford’s counter punching and more specifically his accuracy that proved to be the difference. It was a counter punch, a right hand that would send Khan to the canvas in the first round. Although this was a flash knockdown, it did establish who had more power between the two fighters. As has been the case in some of his more notable fights, Amir Khan’s hand speed was the focal point of his offense and when he was able to get off first, he did have success. What has been in some ways Khan’s Achilles’ heel throughout his career has been a problem in managing distance between himself and his opponent, which leaves him vulnerable to getting caught in exchanges and lunging when he is not at a distance where he can control the tempo of the combat. Despite having a reputation as having a suspect chin, Khan to his credit was able to get up from the knockdown in the first round and had periods of effectiveness. The flaws that have led to his downfall in previous fights however, were all visible in this fight. An inability to control distance resulted in his being countered by Crawford, most notably with the champion’s right hand throughout the fight. Khan was also caught in exchanges where the champion was able to get the better of the action. What appeared to be a fight that was competitive, but also one that was turning momentum in Crawford’s favor as it progressed, was suddenly stopped in round six when Khan suffered a clear low blow and rather than taking five minutes as per the rules to see if he could continue, the fight was stopped by his trainer Virgil Hunter. While it is indisputable that Khan was recipient of a clear low blow, the outcome of a technical knockout in favor of Terence Crawford has some questioning whether or not the outcome was a knockout as a result of a fighter more or less looking for a way out when an opportunity presented itself, a controversy in the result being a technical knockout rather than a disqualification in favor of Khan, or a blunder by Khan’s trainer to stop the fight. Was Amir Khan looking for a way out of a fight that appeared to be getting away from him in terms of his ability to compete effectively? It is important to remember that despite Khan having suffered three previous knockout losses of four previous losses in his career prior to challenging Crawford, Khan has never shown a tendency to back out in a fight when circumstances were not in his favor. From my perspective, although it was indisputable that Khan was hit low by Crawford, the decision to stop the fight appeared to be a little quick. Should the result of the fight have been a disqualification against Terence Crawford? Things like low blows and other fouls are something that comes with the territory in not just Boxing, but all of combat sports. Fans of Mixed Martial Arts (MMA) are not just familiar with the potential of a fighter being hit with a low blow, but also the potential of a fight ending due to a fighter being poked in the eye by their opponent, due largely to the fact that fights in MMA are fought with open-handed gloves that enable a fighter to both punch and grapple, but gloves that leave the fingers exposed where things like eye pokes unfortunately do happened. In this case even though it was clear that Terence Crawford landed a low blow on Amir Khan, I do not believe that it wasn’t intentional foul and thus it is difficult to say whether or not he should have been disqualified under the rules of Boxing. The central question here appears to be whether or not Amir Khan’s trainer Virgil Hunter was too quick to stop this fight. Was there a blunder by Virgil Hunter? Although I would have preferred to see Khan take more time to see if he could compose himself in being allowed five minutes under the unified rules of Boxing, this appeared to be a call that was made by his corner and not him. With the momentum shifting more and more in Crawford’s favor, was the decision to stop this fight one made out of concern for Amir Khan’s well-being and safety having been a knockout victim previously in his career and having suffered a brutal one punch knockout loss to Saul Alvarez in his previous loss prior to this fight? Was the decision made out of a strategy to try and win the fight via disqualification as per the rules would suggest if a fighter cannot continue after being given five minutes after suffering a foul? Did Virgil Hunter jump the gun and stop the fight to quickly? Or, was this a case of all of the above playing a factor in his decision to stop the fight? Obviously, I as a writer, Boxing journalist, and historian cannot answer these questions. The only one that can answer those question is Virgil Hunter. While the fight entering round six was still competitive prior to the low blow, it was clear that the momentum was in Crawford’s favor and Khan would need to do something to turn the ebb and flow in his favor. I do not believe that this was an indication of a fighter wanting out of a fight, but I do believe that a mistake was made by Khan’s corner. Do I believe that if Khan had taken the full five minutes and couldn’t continue that Terence Crawford should have been disqualified? Not necessarily, but it would not have been the first time Yours truly has seen a fight end under such circumstances where a disqualification was ultimately the result. Given that it was an accidental foul and did not appear to be intentional, would the better option have been to go to the scorecards for a technical decision given that the fight had gone beyond four completed rounds as per the rules for something such as a cut that is deemed too severe for one fighter to continue that was caused by an accidental clash of heads? Perhaps… Or, was is the case of a trainer looking out for the best interest of his fighter in the long-term, but not wanting to stop the fight in a way that would result in a technical knockout loss? 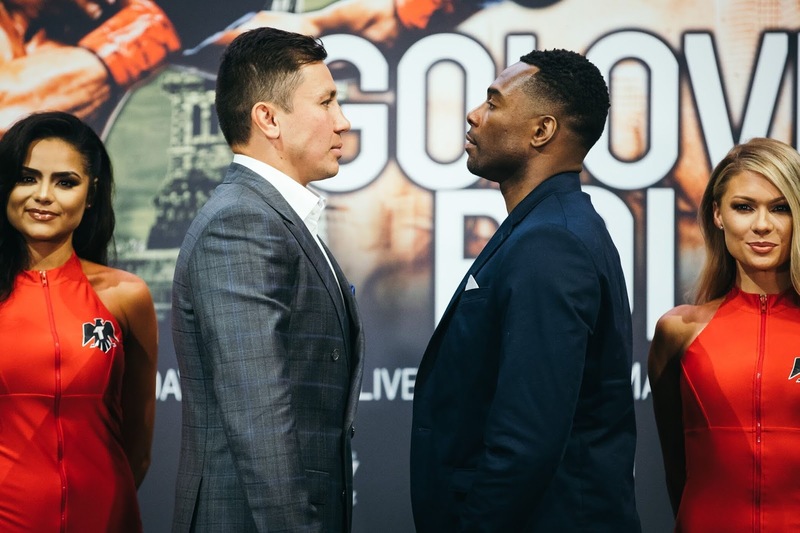 Press Release: April 23, 2019 By DAZN – LOS ANGELES (April 23, 2019) -- Boxing's pound-for-pound superstar attraction GENNADY "GGG" GOLOVKIN and undefeated Top-10 world-rated contender STEVE ROLLS concluded their coast-to-coast media tour with a Los Angeles press conference today at The Conga Room at LA LIVE. Golovkin (38-1-1, 34 KOs), from Karaganda, Kazakhstan, formally announced to media that he is bringing his Big Drama Show back to the "Mecca of Boxing" on Saturday, June 8, in a 12-round rumble with Rolls (19-0, 10 KOs), who hails from Toronto. The fight will be contested at a maximum weight of 164 lbs. and marks GGG’s debut on DAZN, after signing a six-fight global partnership in March. Globally, DAZN is a live and on-demand sports streaming service created by fans, for fans, that is leading the charge to provide access to sports anytime, anywhere. DAZN guarantees no long-term contract, no bundles, just one affordable price for access to all the service's sports on connected devices including smart TVs, smartphones, tablets, games consoles and PCs. DAZN is currently available in Germany, Austria, Switzerland, Japan, Canada, Italy and now the U.S. where it is becoming a must-have service for sports fans, with a daily show featuring live look-ins to Major League Baseball games beginning in 2019 and more than 100 fight nights already lined up from Matchroom Boxing, Golden Boy Promotions, Bellator MMA, the World Boxing Super Series and Combate Americas. Material Courtesy of: DAZN Used with permission. To subscribe to DAZN, availability around the world, list of connected streaming devices, and to start your free 30-day trial please visit: www.DAZN.com. Press Release: By DAZN – NEW YORK (April 22, 2019) -- Boxing's pound-for-pound superstar attraction GENNADY "GGG" GOLOVKIN and undefeated Top-10 world-rated contender STEVE ROLLS kicked off their coast-to-coast media tour with a New York press conference today at Madison Square Garden. Golovkin (38-1-1, 34 KOs), from Karaganda, Kazakhstan, formally announced to media that he is bringing his Big Drama Show back to the "Mecca of Boxing" on Saturday, June 8, in a 12-round rumble with Rolls (19-0, 10 KOs), who hails from Toronto. The fight will be contested at a maximum weight of 164 lbs. and marksGGG’s debut on DAZN, after signing a six-fight global partnership in March. Material Courtesy of: DAZN/Photo Courtesy of: Amanda Westcott/ DAZN USA Used with permission. 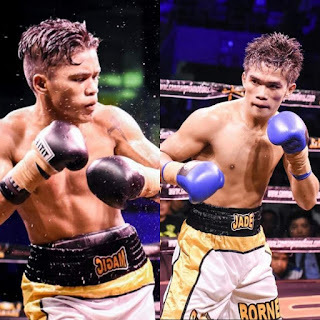 Press Release: April 20, 2019 By Sanman Promotions – Sanman prospects Jade Bornea (W13 KO9 L0 D0) and Mike Plania (W19 KO10 L1 D0) will be showcased on April 30, 2019 at the Robinsons Place in General Santos City. Bornea will face Cebuano Salatiel Amit while Plania will fight Vicente Casido. Both opponents are from Cebu. Both Sanman prospects need to stay busy with fights to prepare for bigger bouts within the year. The 147lb. Welterweight division has as this observer has often said, been traditionally one of Boxing’s most historic and talent deep divisions. Recent times in the division have been no different, but what has been a little different is how the landscape of the sport in terms of how the sport is broadcast has indirectly had a ripple effect on Boxing including the Welterweights. As most Boxing fans know, 2018 saw a significant shift in various television networks both across traditional television as well as digital streaming offering significant contracts to promoters in the sport as well as some of the biggest stars in Boxing to exclusive deals for their respective platforms. While this has seen benefits for the sport and its fan that has and will continue to show in years to come, it has also one might argue created a delay in some significant fights from being signed. In terms of the top of the Welterweight division, this has meant the respective world champions competing on competing platforms against different opposition than each other, which for the meantime has prevented any unification bouts from being made. For a division that has been in a period of transition since the retirement of Floyd Mayweather, some might view it as a delay in determining who is the best Welterweight in the sport currently. Until unification bouts can be made, the best the Boxing fans can hope for is for the world champions in the division to make their case as being the number one fighter in the division. One fighter looking to continue to make an argument for himself is undefeated WBO Welterweight world champion Terence Crawford. Crawford, a three-division world champion, moved into the Welterweight division after fully unifying the 140lb. Jr. Welterweight division in 2017 to win his third world championship in as many weight classes stopping previously unbeaten WBO world champion Jeff Horn in June of last year. After a successful first defense of the WBO crown against a very “Game” Jose Benavidez in October of last year, Crawford now prepares for his second title defense as he will square off against former Jr. Welterweight world champion Amir Khan on April 20th at Madison Square Garden in a bout that will headline a card televised by ESPN Pay-Per-View here in the United States. This appears to be an interesting clash of styles between two boxer/punchers. Crawford is a fighter who is very compact with his offense and is effective fighting out of either the orthodox or southpaw stances. While he has scored knockouts in twenty-five of his thirty-four career wins registering a career knockout percentage of nearly 75%, Crawford has also shown the ability to out box his opponents and can win fights that go the distance in convincing fashion. In Amir Khan, Crawford will face an opponent who has extremely quick hands and like the champion is a boxer/puncher. A focal point of this fight in my mind centers on Amir Khan’s previous setbacks in his career. If the reader is a little confused by the previous sentence, allow yours truly to elaborate. Khan is a former unified world champion and is one of the best fighters in the world. He is a fighter however, that may be more known for his setbacks than his accomplishments. Despite a solid resume in winning thirty-three of his thirty-seven professional fights, there are some who focus on his four losses and to be more specific, three losses in which Khan suffered a knockout. The losses Khan suffered at the hands of Breidis Prescott, Danny Garcia, and Saul “Canelo” Alvarez. Losses that have given Khan the label of having a suspect chin in the opinion of some. It is indeed true that it can be easy for one to label a fighter off of what happens to said fighter when a fighter suffers a knockout loss. Khan has however, shown he can hold his own in some fights that did not go his way, in particular in his fight against Saul Alvarez. A fight where Khan moved up in weight to the Middleweight division up two weight classes from the 147lb. Welterweight division. Khan appeared to be getting the better of the action for a period of time in that fight before he was caught by an Alvarez counter overhand right that sent the former Jr. Welterweight world champion down and out on the canvas. Amir Khan’s hand speed is among the best in the sport. It is crucial in my eyes that Khan be wary of potential counter punches by Crawford in this fight. Khan was also caught in similar fashion as he was by Alvarez in his July 2012 loss to Danny Garcia. While Khan may never be able to shake the label of some as having a suspect chin, these two knockouts suggest that he is more vulnerable to being caught in exchanges. To his credit, Khan will enter this fight with Crawford having won his last two bouts including a twelve round unanimous decision over contender Samuel Vargas in September of last year. Khan also showed in that fight where he was knocked down in the second round that he can get off the canvas to win a fight. As this fight approaches, I believe the key to success for Amir Khan will be to establish the pace of the combat and be elusive. Khan is a highly skilled boxer, but he must not get into exchanges with Crawford, who will likely look to catch the challenger in an exchange of punches. While the hand speed advantage appears to be in Khan’s favor, Crawford is very accurate with his offense and the old adage that the best way to negate an opponent’s speed is by timing. The champion can also be aggressive in applying pressure on opponents as he looks to gradually break them down over the course of a fight. I believe Crawford will take a similar approach in this fight, but the interesting question will be whether Khan will look to use his lateral movement to evade Crawford’s pressure or if he will be willing to be a more stationary target. In terms of what the outcome of this fight could mean in the long-term for the Welterweight division it is difficult to say at the present time. This is due to the landscape of how the sport is broadcast continuing to change in different promoters and their respective stables of fighters having exclusive deals with broadcast networks/platforms, which can play a role in whether potential unification bouts get made. While yours truly intends to discuss this element of the “Business of Boxing “ in the days that will follow this pay-per-view card, it is something to keep in mind when discussing potential fights that may follow for the winner of this fight. Something also to keep in mind, despite the sport’s gradual shift towards Over The Top (OTT) digital streaming with networks like DAZN and ESPN’s own ESPN+ offering economically reasonable subscription-based options for consumers, this card will be offered on a traditional pay-per-view format for $69.95 across cable/satellite, as well as being offered on streaming platforms including Fite TV, PlayStation 4, and ESPN+ PPV. In regard to ESPN+, as some might know, ESPN recently extended their agreement with the Ultimate Fighting Championship (UFC) MMA promotion to become the exclusive distributor of UFC pay-per-view events in the United States carrying those pay-per-view cards through the ESPN+ section on the ESPN app across mobile, tablet, and connected streaming devices. Beyond removing those cards from the cable/satellite medium, what is important to keep in mind is these pay-per-view cards are not included as part of an existing subscription to ESPN+, but those who purchase those cards will either have an annual subscription included with the purchase of a pay-per-view card or are offered at a slightly reduced price for existing ESPN+ subscribers. While it is unclear as to whether ESPN will adapt a similar strategy for their PPV Boxing cards remains to be seen. Although this observer is on record including stating earlier this week across social media platforms that I feel providing a card like this as part of an ESPN+ subscription would be a better platform and approach, I am taking a wait and see approach regarding what appears to be a strategy ESPN is testing the waters with regarding using ESPN+ as a pay-per-view portal in addition to a subscription-based digital network. In terms if the event itself at Madison Square Garden, it will be interesting to see how ticket sales for this event do when all’s said and done. This is due to a Kickboxing/MMA event that will be streamed on the UFC’s UFC Fight Pass digital network taking place in the theater at Madison Square Garden at the same time that the Crawford-Khan card will be taking place in the main arena. While this in no way is a criticism of the Crawford-Khan PPV card, it is the first time that this observer has seen a scenario where two separate combat sports events will be taking place in the same building at the same time. For ESPN, the Crawford-Khan card represents only the second time that the network has ventured into the pay-per-view realm after a successful card promoted by Main Events at Caesar’s Palace in Las Vegas, NV in April 2005. As someone who covered that card, which was headlined by a Welterweight world championship fight between Antonio Margarito and Kermit Cintron, I always wondered why ESPN did not continue with their foray into pay-per-view given not only the quality of the card that night, but also the top notch presentation that the network put forth in addition to a reasonable price point of $29.95. The landscape of pay-per-view both as an industry and in terms of prices is considerably different in 2019 as compared to 2005. With the sport as a whole moving towards subscription-based streaming and away from a traditional pay-per-view model, it remains to be seen if ESPN’s second pay-per-view venture is a success. Much as was the case in 2005 however, the main event features two of the best fighters in the world going against each other and if both Terence Crawford Amir Khan bring their best it has the makings of a great fight. If it does turn out to be a great fight, it would be a shame if in the days that follow this fight if those of us who cover the sport talk more about the changing landscape of technology as well as how a competing event might all have an effect on how successful this card will be, instead of talking about what happened inside the ring. Crawford vs. Khan takes place tomorrow night (Saturday, April 20th) at Madison Square Garden in New York City, NY. The card can be seen in the United States on ESPN Pay-Per-View across cable/satellite providers as well as Fite TV and ESPN+ PPV for $69.95. For more information contact your cable/satellite provider or please visit: www.Fite.TV or https://plus.espn.com/toprank for more information. In the United Kingdom and Ireland, the card can be seen on BT Sport Box Office PPV beginning at 11:30PM for £19.95 (Local UK time.) For more information about BT Sport Box Office PPV, availability in your area and to order please visit: https://sport.bt.com/sport/bt-sport-box-office-S11364260381802. Check your local listings internationally.